PT Barnum rises above his modest origins to create a successful circus spectacle. When I saw trailers for 2017’s The Greatest Showman, I felt sure it’d become a box office flop. A musical about circus folk set in the 19th century didn’t exactly scream “smash hit” to me. After the movie’s opening weekend, my prediction looked pretty good. With a budget of $84 million, Showman took in a mere $8.8 million during its first few days, a sum that plopped it in fourth place for that span. This appeared to foretell a quick, ignominious departure from movie screens for the flick, but remarkably, Showman nearly doubled its opening take in its second weekend, and it just kept plowing. The movie never dominated the box office – indeed, it never ranked above fourth for any given weekend – but it chugged along with steady returns while other films faded. As I write this in April 2018 – almost four months after the movie’s release - Showman persists on some screens. 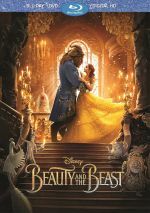 It wound up with about $172 million US and $420 million total – not dazzling figures in an era where the biggest hits go past $1 billion, but more than enough to turn a profit, and a whole heck of a lot more than the roughly 27 cents I thought the movie would earn. PT Barnum (Hugh Jackman) struggles to support his wife Charity (Michelle Williams) and their daughters Caroline (Austyn Johnson) and Helen (Cameron Seely). Eventually he gambles and takes out a loan to open a museum that showcases wax figures and exotic items. This doesn’t rake in the bucks, so on his kids’ recommendation to include something “alive”, Barnum recruits “freaks” to be part of the attraction. Along the way, he develops this into a circus and becomes a pre-eminent showman. As I’ve mentioned roughly 800 times over the years, I find musicals to offer a hard sell, as the genre usually does little for me. That said, I enjoy some of these films, so I don’t find myself cut off to the form – when done well, musicals can work for me. Given the “grass roots” success of Showman, I hoped it’d bring a winning experience, one that explored the fun and vivacity the best musicals enjoy. Alas, it falls terribly short of those goals, as it delivers a muddled, one-dimensional piece of fluff with few fun moments to be found. In his audio commentary, first-time director Michael Gracey gives the film a blanket exception for its multiple historical liberties, as he paints Showman as the version of his life Barnum would’ve told. Honestly, that feels like a cop-out, but even if I accept the ways in which the movie ignores facts, I can’t ignore its refusal to reflect its era. Make no mistake: Showman offers a completely 21st century view of the 1800s and its characters. Barnum made his name on the exploitation of various unusual people, but in the movie’s eyes, he really just wanted to help them feel self-empowered. Excuse me for a second while I hurl. While I don’t doubt that some criticized Barnum’s eagerness to exploit “freaks” – or “oddities”, as the movie likes to call them - for his own fame and fortune, it’s clear that that society didn’t display a lot of sensitivity in terms of that topic. As such, the notion that Barnum didn’t use these people but instead he helped them earn acceptance and self-fulfillment seems like a radical stretch of probable reality. This is a totally 21st century politically correct way to make Barnum’s actions safe for family audiences, and it feels completely false. It doesn’t help that Showman makes sure we dislike the primary person who calls Barnum on his bigotry, theater critic James Gordon Bennett (Paul Sparks). In the film’s view, he’s a snob who actually hates art, so of course he can’t enjoy a parade of “oddities”. Oop – time to hurl again. The “populist” filmmakers think Bennett allows them a pre-emptive strike against their pretentious critics, but instead, this simply comes across as misguided. A movie that aspires to progressive goals attacks the most liberal-minded character of the bunch, all so it can pretend to care about the characters it exploits. Let’s leave these social flaws aside and instead focus on the cinematic problems, of which Showman boasts many. Like I noted, Showman acts as Gracey’s first feature-length work, and his inexperience shows, as he can’t wrangle this tale into a coherent effort. Granted, I suspect the screenplay hamstrings Gracey to a degree. It shocks me to see the talented Bill Condon attached as co-writer, for the script feels like a random collection of scene snippets packed into one messy stab at a narrative. For a 105-minute movie, Showman crams in far too many plot points. 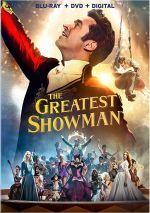 The film covers Barnum’s childhood, his relationship with Charity and with his kids, the origins and growth of the circus, Barnum’s attempts to get in good with “society”, Barnum’s promotion of and relationship with singer Jenny Lind (Rebecca Ferguson), Barnum’s marital woes, Barnum’s partner Phillip Carlyle (Zac Efron), Carlyle’s romance with acrobat Anne Wheeler (Zendaya), aspects of the “oddities”, and probably a few other bits I forgot. That’d be a lot for a mini-series, and when you throw in all the song-and-dance numbers, Showman enjoys exceptionally little time to explore any of these areas. In truth, it barely bothers, as the movie jumps from one topic to another without the slightest hint of coherence. Gracey doesn’t seem to know how to tell an actual story. He feels his self-empowerment message will carry the day, so he doesn’t bother to give us anything that resembles a fluid, concrete narrative. It all feels like a collection of music videos cut into a feature film – and not very good music videos at that. Gracey subjects the production numbers to far too many edits, a choice that leaves them stilted and jerky. Throw in an endlessly spinning camera and the movie seems desperate to impress us with its “show-stopping” performances. The completely mediocre songs don’t help. Each one blends into the next, as it becomes next to impossible to differentiate one from another. All of the tunes feel churned out by a computer. Give us something anthemic in a generically “uplifting” way that comes to a phony dramatic climax and voila! Time to hurl again, I fear. These songs just as contrived and cliché as everything else about the movie’s story and characters. Showman wants to provide uplift but it lacks a single honest emotion. It’s unlikely that PT Barnum ever said “there’s a sucker born every minute”, but Showman proves that statement’s accuracy. The Greatest Showman appears in an aspect ratio of approximately 2.40:1 on this Blu-ray Disc. As expected, this became a pleasing presentation. Sharpness seemed solid, as the film consistently came across as distinct and well defined. I noticed only mild issues connected to softness or fuzziness during a few wider elements, so the majority of the flick remained distinctive. Jagged edges and moiré effects never presented concerns, and edge haloes remained absent. Print flaws also failed to materialize. The movie’s palette emphasized a fairly standard sense of orange and teal, with occasional splashes of other hues as well. This became a mild disappointment, as a film about the circus felt like a tale with ample room for a more dynamic palette, but the hues seemed well-reproduced nonetheless. Black levels were deep and dense, and low-light situations demonstrated good definition without becoming overly thick. This turned into a more than satisfactory image. Not surprisingly, music dominated the film’s DTS-HD MA 7.1 soundfield, as the showtunes demonstrated good breadth and spread across the front channels. Stereo response seemed strong, as the songs filled the speakers nicely, and they also popped up appropriately from the rears. As we move to extras, we begin with an audio commentary from director Michael Gracey. He offers a running, screen-specific look at story/characters, cast and performances, music, production design and locations, choreography and related domains. Gracey brings us a fairly lackluster commentary. He tends to essentially remark on the on-screen action without real insight, so we don’t learn a lot along the way. While not a terrible track, this one fails to offer much useful information. 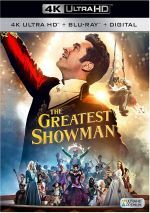 A featurette called The Family Behind The Greatest Showman runs 14 minutes, five seconds and presents comments from Gracey, producer Laurence Mark, songwriters Justin Paul and Benj Pasek, choreographer Ashley Wallen, production designer Nathan Crowley, costume designer Ellen Mirojnick, and actors Hugh Jackman, Zac Efron, Zendaya, and Keala Settle. “Family” examines the movie’s origins and development, cast and performances, songs and choreography, sets and costumes. A lot of happy talk crops up, but we get a decent collection of production-related notes as well. Under The Music, we find nine clips that examine the movie’s songs. These fill a total of one hour, 10 minutes, seven seconds and features statements from Gracey, Jackman, Mark, Paul, Pasek, Efron, Settle, Zendaya, and actors Rebecca Ferguson and Michelle Williams. As implied, “The Music” examines the songs and performances. Like “Family”, a fair amount of praise emerges, but we find good thoughts about the tunes, and fans will enjoy the abundance of rehearsal footage. Next comes The Spectacle, a 32-minute, 12-second compilation of five featurettes. These involve Gracey, Mark, Mirojnick, Jackman, Ferguson, Efron, Zendaya, Settle, Wallen, Paul, Pasek, Crowley, cinematographer Seamus McGarvey, makeup department head Nicki Ledermann, head hair stylist Jerry Populis, circus coordinator Mathieu Leopold, composers John Debney and Joseph Trapanese, and actors Yajya Abdul-Mateen II, Sunny Walters and Taylor James. “Spectacle” views costumes, hair/makeup, production design, cast and performances, choreography, photography, and score. We hear about some of this elsewhere, but we still discover a positive overview of various production issues. With Sing-Along, we get a subtitle option that displays the songs’ lyrics as they play. In addition, Music Machine allows direct access to any of the film’s 15 production numbers. Two subdomains lurk within Galleries: “Concept Art” (34 images) and “Storyboards” (300+ - the sequence repeats and I lost count before I realized I saw duplicate images). Both collections work well, especially because the storyboards offer much more artistic material than the usual basic cartoons. The disc boasts two trailers for Showman. Sneak Peek also provides ads for The Post, Ferdinand, The Mountain Between Us, Goodbye Christopher Robin and Hidden Figures. A second disc provides a DVD copy of Showman. It includes all the extras except for “The Songs”, the trailers and “Sneak Peek”. Slowly but steadily, audiences embraced The Greatest Showman - and I can’t figure out why. Messy, clumsy and erratic, the movie lacks the zest and coherence it needs to become a satisfying musical. The Blu-ray brings very good picture and audio along with a selection of supplements. Showman fails to turn into a memorable experience.